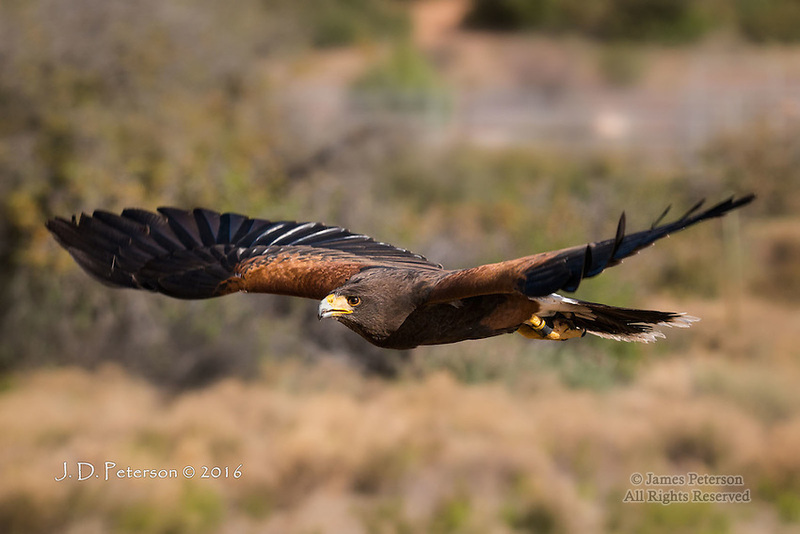 Harris's Hawk, Chino Valley, Arizona ©2016 James D. Peterson. This bird resides in a private shelter called Arizona's Raptor Experience, where birds that are unable to survive in the wild are cared for and exhibited. I participated in a photo shoot there in April, 2016.